If you love to experiment with classic cake recipes, then you've landed at the right place. Here's a handpicked list of some of the best Christmas cake recipes available on the web. You can choose from a wide variety of flavors to surprise your family and friends. All the cakes included in this list are made by experienced recipe developers. Do make extra portions of these cakes because nobody is going to stop with a single serving. It's not just the flavor but the presentation and texture are what makes these cakes, a must try. I've also included few of my favorite Christmas cake recipes on the following list. So, let's check out these unique Christmas cake recipes to fill the festive season with flavorful happiness. The first one in this list is a Scottish Christmas cake recipe consisting of blanched almonds, fresh orange peel, and malt whiskey. There are several variants of this cake and this one is close to the original. One can replace whiskey with their preferred substitute. Baking this cake takes some time, so make sure you follow all the instructions carefully to avoid getting it burnt. Though glace cherries are mentioned as optional, I'll strongly recommend using them to get the best results. Store this Christmas cake in an airtight tin. So, let's not wait further and make this delicious Scottish Dundee cake preparation, today. This classic Christmas cake is quite easy-to-make and tastes great. It's a fusion of cake recipes (improvised version) developed across 3 generations. If you're looking to make this one, be ready to do the preparations a night before to get the best possible results. This cake has a strong flavor which lasts on the taste buds, for long. You can moderate the amount of brandy as per your preference. It's a slow-bake recipe which requires some patience. If you prefer, you can replace almond topping with a classic icing decoration. Do once try this classic Christmas cake recipe to celebrate the festive season in a grand style. If you're looking to make a simple yet delicious Christmas cake, go for this one. It has a balanced flavor of orange and brandy which gives it a unique taste. You can also find the baking instructions to make two smaller cakes from the same ingredients in a correct way. The ingredient list is simple too enabling you to get started in no time. Remember, while baking this cake, the browning alone is not the sole factor that decides if it is done or not. So, use a toothpick to check if the interior is also done. If you're ready for this one, here's the recipe for this amazing and mouthwatering Christmas cake you'll love to the core. This fruity plum cake is one of my favorites on this list. It's a vegan Christmas cake recipe one must try, at least once. Grape juice has been used replacing the wine altogether. If you're okay with the latter, feel free to go ahead with it moderating the quantity as well. You can also add tutti frutti in this plum cake. For an enhanced flavor, you can use both grape and apple juice in equal proportions keeping the overall quantity, intact. If you're looking to make more than one cake, simply double the proportions of all the ingredients. Let's make this fantastic vegan plum cake for our loved ones and festive season guests. If you prefer to stick with traditional and classic recipes, this Christmas cake is the one you need to make this year. This is yet another old recipe enhanced and improved across 3 generations. As usual, it's suggested to soak the dried fruits within brandy, a night before. To get the best results, do make sure you're using the butter paper instead of directly greasing the cake tin. This not only protects the cake from burning but also ensures easy removal from the tin. This cake can last up to a month without any need of refrigeration. Now is the time to bake this irresistible and easy-to-make Christmas cake for everyone. This gluten-free and dairy-free Christmas cake is a must-try recipe one cannot afford to ignore during the festive season. Because of its high fruit content, sugar is not needed though you can add a bit if required. It's one of the healthiest cakes included in this list. Recipe developer has also shared two methods to enhance the cake and to serve it in a unique way. It's a high protein cake with a dense texture. If you're looking for a bit lighter texture, reduce the dried fruits replacing them with all-purpose flour and a bit of sugar. It's a perfect time to make this gluten-free and healthy Christmas cake recipe for the family. This Christmas cake's ingredients are enough to get up to 4 smaller cakes which can be gifted to the guests. This is an extremely slow-bake recipe which can take up to 10 hours. Naturally, the end result is exceptional making you go for more of it, again and again. Because it is baked for a very long time, a triple layer of baking paper is recommended to avoid burning. Like other quality Christmas cakes, this one too can last for weeks, if stored correctly. Feel free to drench it in sherry before storing in an airtight tin. I'll prefer to divide all the ingredients into 2 equal portions to get smaller yet equally delicious cake. This is a unique pomegranate Christmas cake you can make to surprise the guests. This cake has several layers and is not a mix all and bake kind of recipe. But the hard work done pays off in the end when you get a mouthwatering Christmas cake which is hard to resist. While making this cake, if the sponge cake comes out well, half the battle has already been won. Do not forget to refrigerate the cake for at least half an hour before you start with the heavy topping. And soon after the topping is done, again refrigerate for a longer time. If you love to give sweet surprises to your family, try this delicious pomegranate cake recipe. This delicious Irish Christmas cake has a long shelf life and can be easily stored for up to 6 months. In fact, the taste gets better as it ages. A generous amount of whiskey is used for this recipe giving the cake, a strong flavor. You can moderate it too if you want to do so. The baking step is a two-part process for this cake. First, at a higher temperature for a shorter duration and then at a lower temperature for a longer duration. To store it correctly, wrap it nicely in a baking paper and then transfer to an airtight container. So, grab this excellent Irish Christmas cake recipe and try it right now in your kitchen's oven. If you've chosen this Christmas cake recipe, the ideal time to make it is at least a month before the festive season. The aged version not only smells divine but also tastes much better than the fresher version. The topping is optional and can be skipped altogether. With a lot of positive reviews from the readers, this cake recipe is surely one of the best entries of this list. For a better texture, add almonds in a blanched form. If you're going to store it, make sure it is completely cooled down before you start the wrapping process. Let's get going and make this fruity and yummy Christmas cake for our friends and family. This egg-less Christmas cake is a must-try for everyone. Not only it smells great, but the crumbly texture makes it a perfect festive season serving. The delicate balance of whole wheat flour and refined flour add to the taste. One can use wine substituting fruit juice. While baking, if the cake is browning too quickly, cover it with an aluminum foil. If you're health conscious, skip the refined flour and go for a 100% whole wheat flour cake. The step-by-step picture-assisted process makes the entire recipe, quite easy to follow even for a layman. I highly recommend trying this fruity Christmas cake preparation, at least once. This is the second Irish Christmas cake recipe handpicked for this list. Needless to say, a month old aged one is the recommended way to relish this cake. 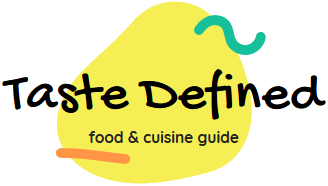 The author suggests omitting candied peel if it's not available easily in your locality. It may affect the flavor. Newbies often try to use unsalted butter for the Christmas cake. That's a huge mistake one should avoid while making such preparations. The ingredient lists are given in two different measurement formats for your convenience. It takes up to 3 days if you do not hurry and make it in a correct way. Let's make this authentic Irish Christmas cake recipe. This grandmother's Christmas cake recipe should be on your to-do list during the festive season. You can make up to 6 smaller cakes (as shown in the image above) from the ingredients list. The baking time for both the smaller and the bigger version is mentioned. The largest version takes a little more than 3 hours. This is the one I've tried myself and got excellent results. I also preferred the medium version and made 2 from the quantity enlisted on the post. As always, I'll suggest you moderate the quantity of brandy as per your taste. Let's make this old and delicious Christmas cake recipe in a few easy steps. This is one of the fluffiest and the lightest Christmas cake to make your taste buds, happy. Interestingly, this recipe uses cognac for soaking dry fruits. It's done pretty quickly compared to other classic cake recipes. Addition of ginger powder gives it a unique taste. Though unsalted butter is mentioned in this recipe, I'll prefer to go with classic salted butter. This cake can easily last for up to 2 to 4 weeks. A simpler castor sugar version can also be tried substituting it with brown sugar. Use a flatter cake tin to get the best results. Get your kitchen oven ready to make this fruity Christmas cake good for your sweet tooth. The next in this list is the fluffy vanilla Christmas cake which stands apart from the rest. It's a killer combination of crumbly texture and fluffy vanilla frosting. It's topping is just too good. Unlike other classic Christmas cakes, this only lasts 5 days, when refrigerated. If you're going to serve it to the kids, I'll suggest grating dark chocolate on top of the slices. Though it is exactly opposite of the classic plum cake, your Christmas guests are still going to love it, madly. To get the best results, use pure vanilla extract. The author suggests making part of the decoration, a day before. Do once try this white Christmas cake recipe. This rich and flavorful Christmas cake is surely going to make your family and friends happy the moment they take the first bite. You also get the technique to address the curdling issue, if it happens so. Once wrapped in an aluminum sheet, it's edible for weeks. While slow-baking (approx. 4 hours), it is covered with parchment paper both from top and bottom which gives the best result. You'll find one of the most comprehensive cooking instructions for this cake among all the others included here. I bet this is one of the most fragrant Christmas cakes. Try it once and you'll never forget its taste in the coming years. This is yet another Christmas cake with a dense texture loaded with a generous quantity of nuts and dried fruits. That's why it's heavier too when compared with other cakes. This cake recipe uses spiced rum instead of going ahead with the regular one for added flavor. When properly wrapped in a food-grade plastic sheet, this cake can easily last for up to a month. Use a double layer of the baking paper to get the best results. The key to a good Christmas cake is to proactively do the skewer test as the baking completion time nears. If you like to relish fruity and dense Christmas cake, go for this one without any hesitation. If you love to try something different, here's a Christmas cake recipe made in a completely different and unique way. The entire ingredients are simmered and bubbled in a pan speeding up the combining process. Thereafter, the batter is transferred to the baking tin. The flame needs to be low-medium to avoid any burning issues. If refrigerated, this cake can last for up to 6 months. At room temperature, it tastes great for up to 3 months. Feel free to moderate the oven temperature if you notice the cake is browning too quickly. Do try this new way to make a mouthwatering Christmas cake recipe for your beloved guests. This list is incomplete if we do not include this unique and flavorful Christmas cake recipe. If you love to give surprises to your family and friends, this cake should be tried to make the festive season, a memorable one. I'd love to experiment with this yummy cake recipe. The red currant jam used in this recipe can be substituted for your preferred fruit jam. The dough temperature is vital when making this cake to avoid crumbling. Dough's thickness also matters to get the best possible results. I'd recommend making it along with the classic cake. Do not wait further and quickly try this lip-smacking Christmas cake recipe. 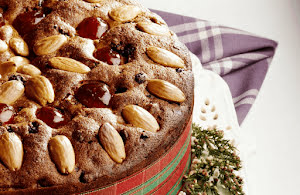 And last but not the least, this visually appealing Italian Christmas cake completes this list. This is a no-bake cake filled with delicious and creamy custard and further enhanced with a topping of fresh fruits. When ready, this cake looks absolutely amazing and inviting. While slicing the cake base, the author suggests keeping the bottom one slightly thicker than others. The custard can be experimented with though it may change the authentic flavor of the cake. The decoration process seems a bit cumbersome but the end result makes it, worth it. Let's make this flavorful Italian Christmas cake recipe for everyone.